Early in the spring, as I planted in containers and filled in spots in the garden, I visited a variety of garden centers in Missouri and Arkansas. I found lots of amazing plants. However, although I searched every botany shop that I stopped at, I never found thistle plants. Because of my Scottish heritage, and as memorials of my visit to Scotland last year and my cousin Mindy, who traveled with me to our homeland and then journeyed on into eternity in January, I wanted thistle plants. I gave up the search for this year. 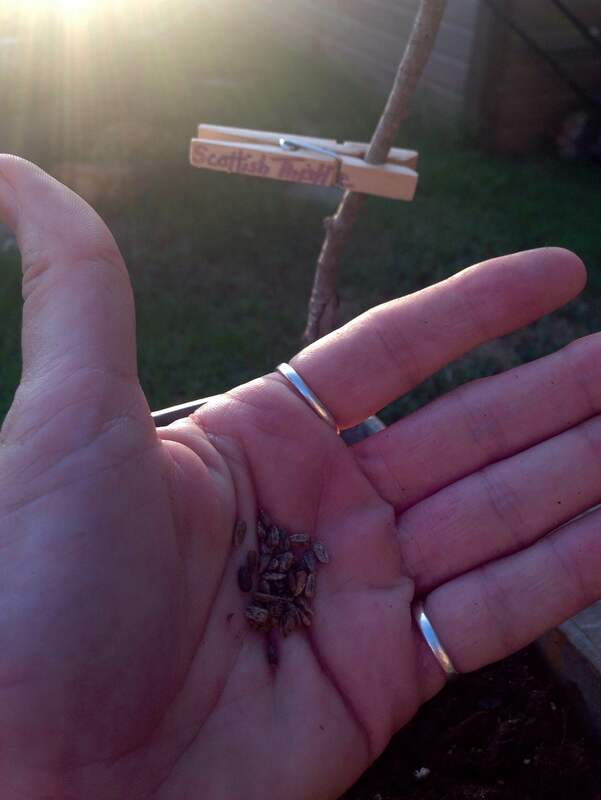 And then, my beautiful younger sister, Debbie, surprised me with seeds. She found them online and ordered them for me. She attended Bob Moore’s funeral this past week and she arrived bearing gifts for me, precious seeds. Not only did she purchase Scottish Thistle for me…she also gave me Milk Thistle, Safflower, and English Lavender seeds. It is late in the year to be sowing seeds, but I couldn’t resist. On this warm but very beautiful evening, I was out in the backyard garden, scattering seeds. I planted half of them and saved the rest to sow next spring. 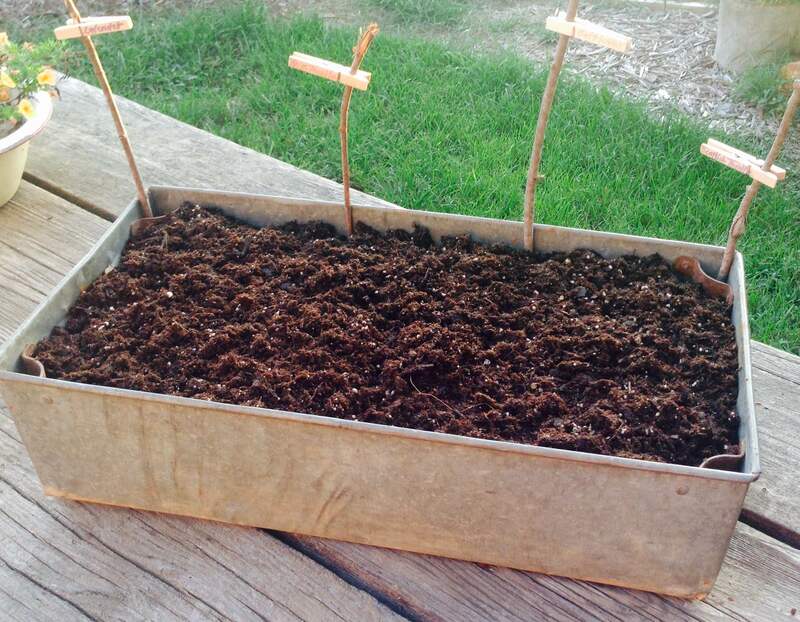 There is time for these seeds to sprout and thrive. I can pot them in containers and bring them indoors for the winter, if I so choose. I’ve had a large metal box, with handles, that I have saved. I didn’t know what I was saving it for, but it has remained empty all summer….until tonight. Filling it with potting soil, I divided the surface into four zones and scattered seeds in each area. English Lavender went into the first section. 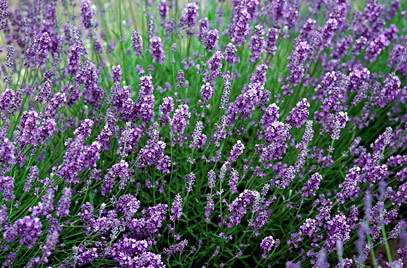 Lavender is a herbaceous plant that has fragrant stems, leaves and flowers, in pinks, purples or whites. It is a great addition to any garden, whether in the herbal section or a cottage or border garden. Uses are many and include dried flowers, teas, sachets, potpourri, beauty products and herbal remedies. 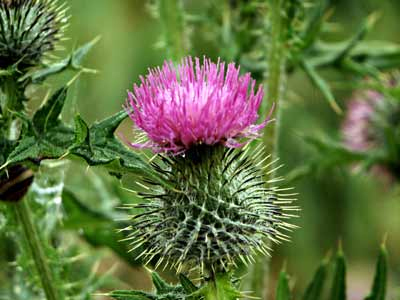 Milk Thistle is another type of thistle, as its name implies, with red to purple flowers. 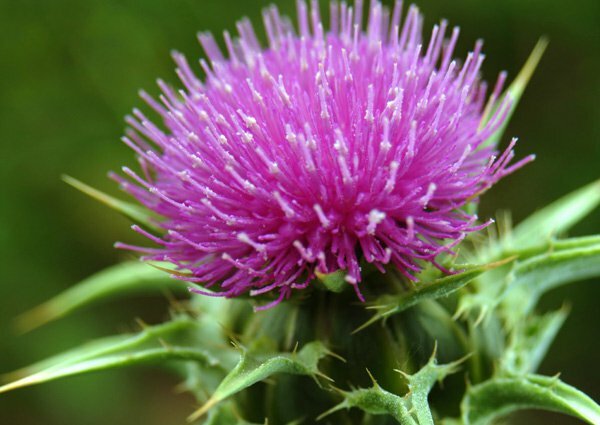 As a herbal remedy, milk thistle is excellent for liver health and to promote bile flow. It is considered effective in cleansing the body of toxins and even in combating cancer. I have never had this plant before either, so I am excited to add it to my apothecary garden. Thistles are considered invasive, so I will be growing them in containers as I study their habits. Safflowers are considered one of humanity’s oldest cultivated plants. It too is a thistle like plant with red, orange or yellow flowers. 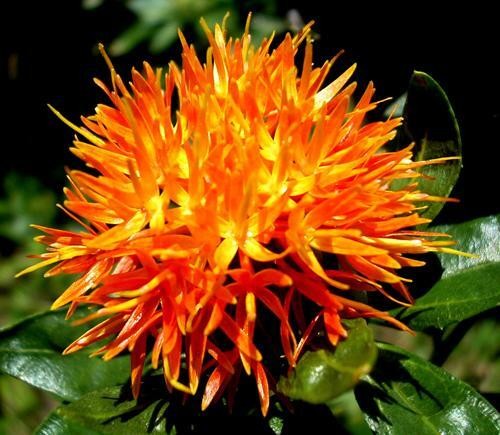 Commercially, the safflower plant is grown for the oil that is extracted from the seeds. The oil can be used for cooking and also has medicinal properties for heart health, and can be used to treat fevers, coughs and breathing problems. This plant is new to me as well. Scottish Thistle, the national flower of Scotland, has grayish green stems and leaves and flowers that range from pink to purple. It is an ancient Celtic symbol of nobility of character and has been the national emblem of Scotland since the reign of Alexander III, 1249-1286. According to legend, an invading Norse army, attempting to sneak up at night on a Scottish encampment, inadvertently stepped on thistle plants, which caused them to cry out in pain. Those cries alerted the Scots, who routed the Norse army. The lowly thistle, which grows everywhere in Scotland, was elevated to their national symbol as a result. I am so thrilled to have seeds to grow my own thistle, symbol of Scotland and my roots, beauty and travel. I will think of Mindy as well, any time I look at Scottish Thistle in my garden. 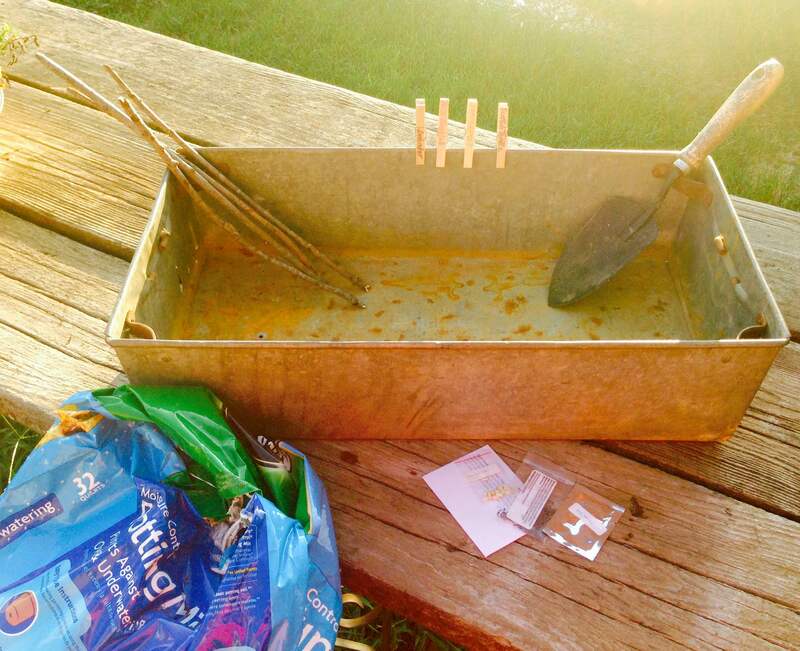 I wanted a fun way to identify which sections contained which seeds, in my metal box. I wrote the flower names on wooden clothes pins and attached them to sticks I found in the yard. This was a simple and effective choice for markers, and it has a rustic charm. I like it. I’ll mist the soil every day, maybe twice a day, in this heat, and watch for the little sprouts to appear. 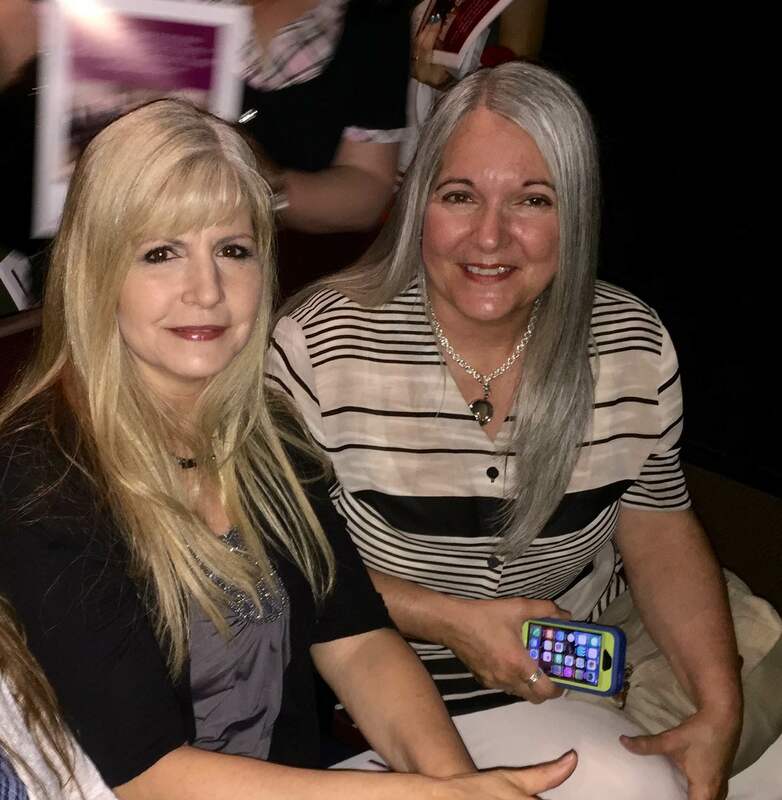 Thank you, Debbie, for not only buying me the seeds, but for knowing my heart so well. I’m smiling ear to ear, old gardening clothes on, hair pulled back in a ponytail, the cloying scent of bug spray clinging to me, and feeling wonderfully content. I love your surprise….and you!